yep, i'm planning an extended version but I'm still not sure if I tell the story that happens after the game or before the game. Both are interesting. Thank you very much for playing! I'm glad you liked it, I loved the gameplay! Thanks for playing! And well, I think the instruccions was clear. The robot tells you what to do step by step. 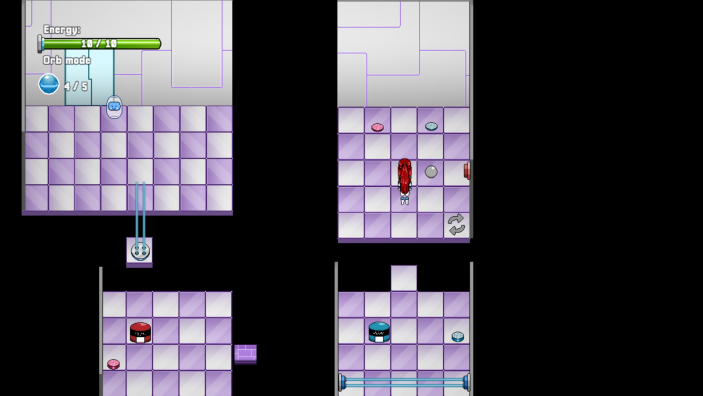 He never says that the wall will push the ball, it tells you where to put it (In the red rectangle) and that you have to press z repeatedly behind it. Thanks for the feedback! I really appreciate it! Umbral, astral dreamers community · Created a new topic All let's play! If I forget any video, please let me know. Thanks for playing! That was not a bug, only that you can not touch the ball when it's red because it hurts you. You had very little life and It kill you.That puzzle gives problems to some people, help you with this guide to pass it. the others are easier. I hope you give it another shot, you don't start the game yet. yeah, I already know the game need more tutorials. My beta tasters didn't find any difficulty. The lasers are impassable when you can see them. And the color tile sequence is in the page with words in colors. Thanks for playing and the review. Thank you very much for playing the game! I hope you enjoying it and I'm glad you didn't give up with the puzzles. it's a good idea what you have, I'll write it down. When I can update the game (at the end of the contest) I will implement all the good ideas everybody have given me. Wow, this is the best review I've received! I'm very happy that you liked it !. And sorry for the grammar mistakes, I'm not a native english speaker, fortunately Hawkzombie helped me fix the most notable mistakes, it would have been much worse xD. Thank for the video, I really enjoyed it!!! Bueno, es rpg maker, seria muy dificil hacer que el personaje se vea 90 grados, pero gracias por jugarlo! Hi, I'm your secret santa. 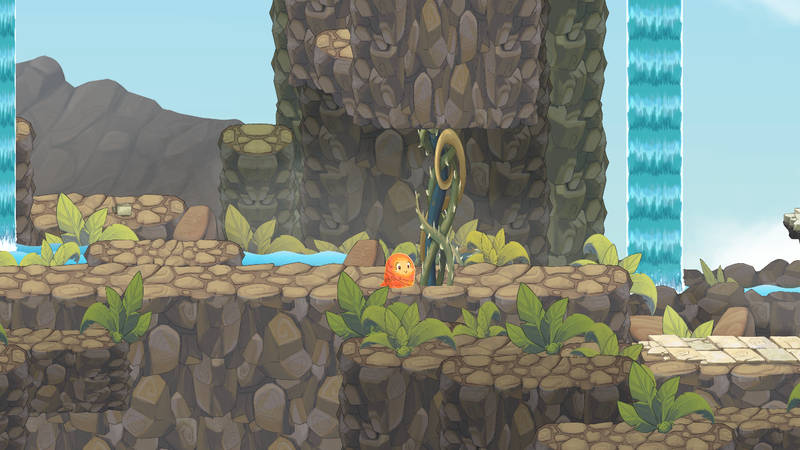 -The puzzles are like those of golden sun and I love golden sun. I loved them! - The maps were well made. -The menu, I like how you personalized it a little. - There was no music on the title screen. -It was very short, I wanted more. I finished it very fast. Maybe some interaction with the vases, or have custom art for the scenarios, but that is done afterwards. The game seemed very good to me. I didn't get bored that is the most important thing. I wanted to do 8 direction movements but I didn't reach the time for so much sprite and I had problems with the plugin. I want to implement it. Wou, thanks so much! I'm really glad you enjoy it, I love how you make videos! I going to try yours! 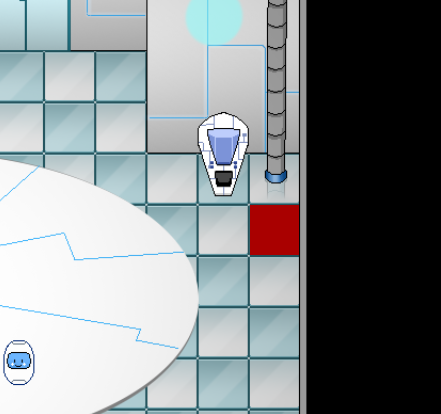 1: If you stand there (red rectangle) and press Enter or Z you will receive automatically a game over. 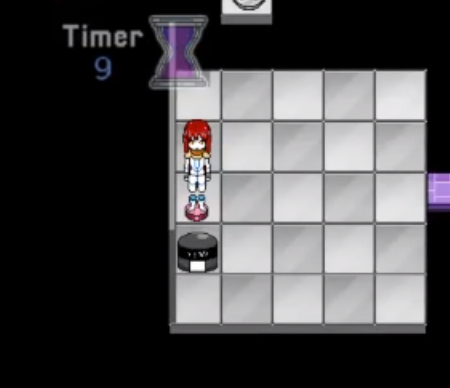 2: If you stop the time while the robot is located in that position and you stand on the button, you won't be able to move anymore. 3-NEVER DO THAT, you're going to get stuck in that room! 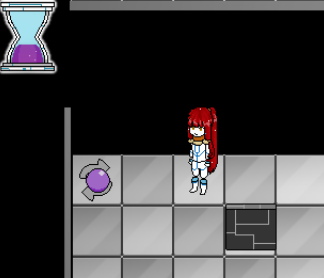 4- If you leave the testing room before solving it, and before use the moving platform, the platform no longer moves, and the metal ball can't be moved or reset either. So don't leave the testing room. thanks for play it!, and about the game over screen, there is a bug there, I was testing the game over screen and I forget erased the event, I noticed now. Feel free to post any feedback, I'll appreciate it! 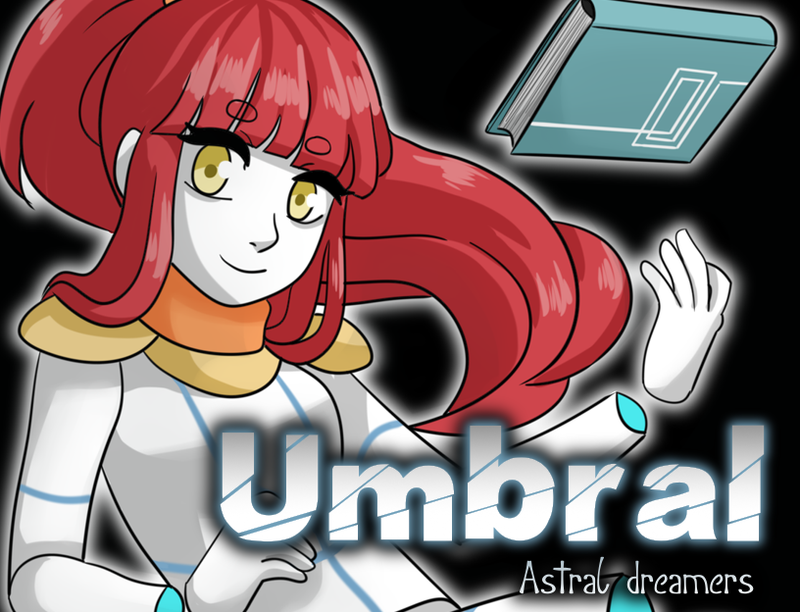 Indie Game Making Contest 2018 community » Project Threads · Created a new topic Umbral, astral dreamer- a world between two realities. In the space between the tangible and the intangible exist "a bridge" that connects both realities. This bridge is called Umbral. The Umbral is a mysterious place protected by autonomous machines made of sand and silicon called Astrals. 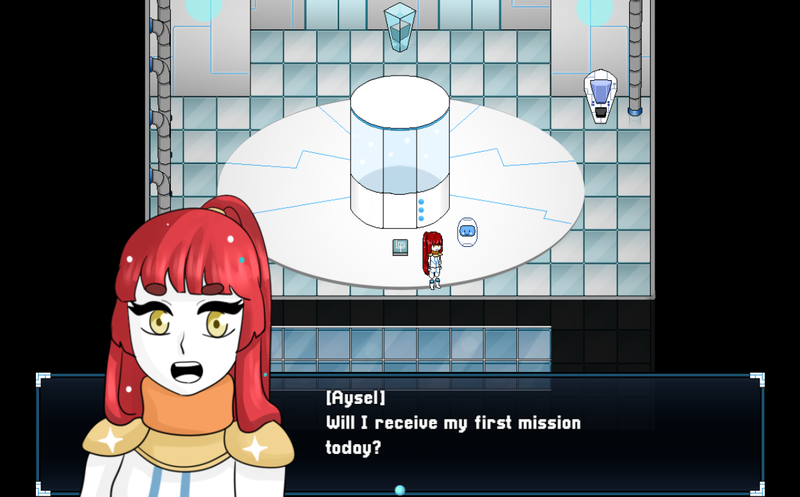 You take control of Aysel, a new astral on her first mission. What will be your mission? Can you achieve it without dying in the attempt? 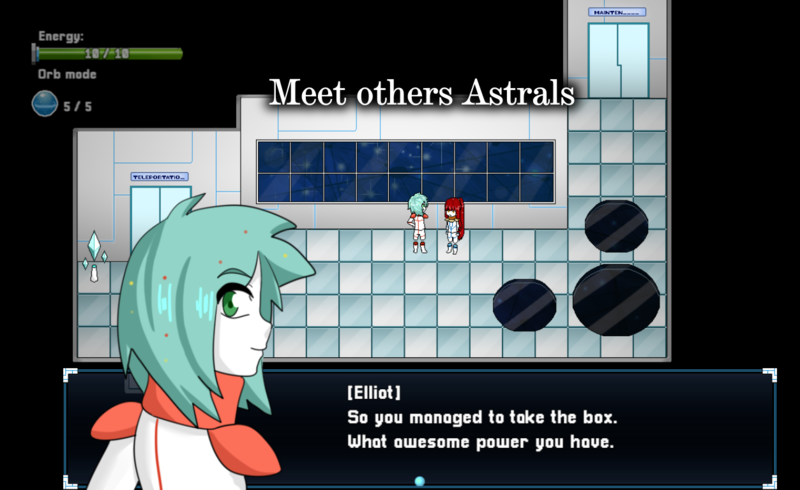 -Custom art and a lot of animations. Genre: Adventure, Puzzle, Sci fi, Mystery, Drama. This game was made in one month for IGMC 2018. Any feedback is highly appreciate!! Muchas gracias me alegro que te haya gustado! pronto traducire mi ultimo juego al español espero que lo juegues! tiene que ver con: donde se juntan dos líneas, los vértices. Are you sure your game is "published" and not "draft"? I think I read once that new accounts can't participate in jams until some time ...I'm not sure. You can't yet? Yeah, I was correcting some grammar mistakes. If you find any bug, please notify me!! Thanks for playing it! I'm happy you like it! Thanks for play my game xD Was fun! I want see the second part. Thanks for playing it! I'm sad you wouldn't realize how ending it. You can see this video to know.